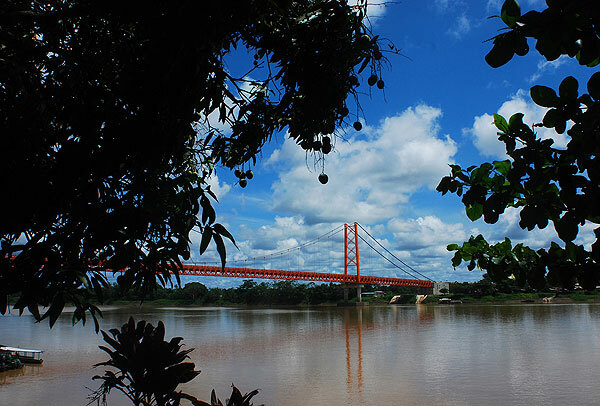 Puerto Maldonado is located at the confluence of the Madre de Dios and Tambopata rivers, in the southern Amazon rainforest in Peru, 610 feet (186 m) above sea level. (Tambopata's Map), and normally is only the jumping-off point for exploring the jungle and journeys along Tambopata river and lower part of the Madre de Dios river, Valencia Lake and Sandoval Lake. 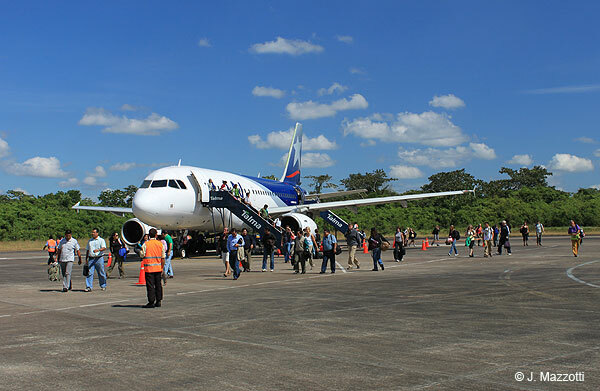 The traditional way for get to Tambopata is by air. 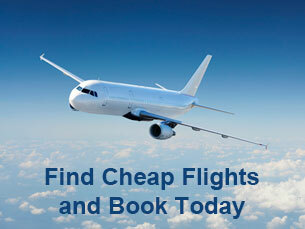 Puerto Maldonado is easily accessible by air, commercial flights leave daily from Lima and Cusco and connections. 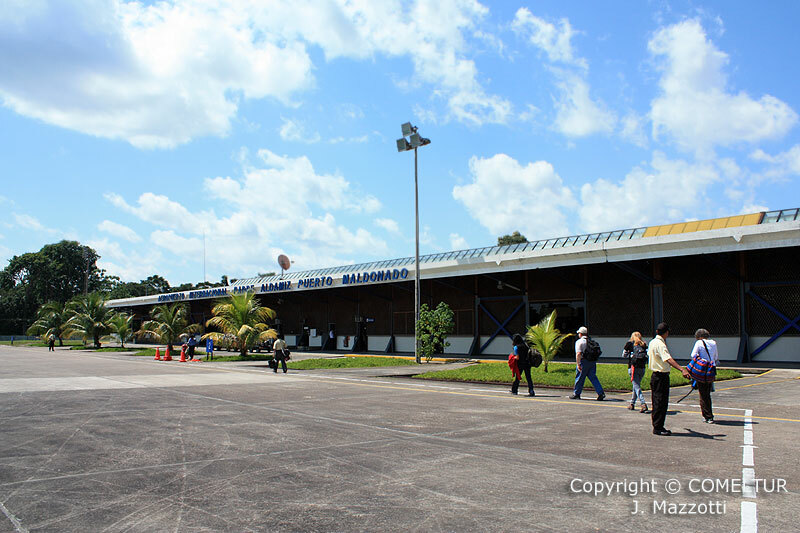 The Padre José Aldamiz (PEM airport code) is the airport of Puerto Maldonado, small and comfortable facilities. It has a vaccination center and taxi service. The airport is located 7 Km outside the town. The Interoceanic Highway or Transoceanic Highway, is an international, transcontinental highway between Peru and Brazil. From Cusco (Urcos deviation) you can travel to Puerto Maldonado and continue to Inambari - Iñapari on the Brazilian border (286 Km. - 4 hours by car) and then Rio Branco (581 Km - 9 hours by car). This new highway entails the renovation and construction of roughly 2,600 kilometers of paved roads and 22 bridges. From Cusco city you have bus connections to Lima, Arequipa and Puno. There is no commercial river transportation. River transport is limited to speedboats and small boats to nearby places from Puerto Maldonado, local excursions or to take you down river to destinations as Sandoval Lake or Valencia Lake.